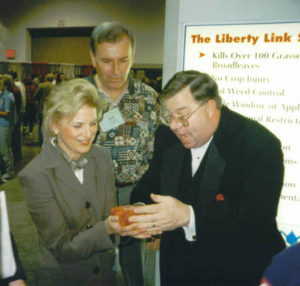 Gene Turner has been a “professional sales entertainer” at trade shows for over 30 years. Understanding the challenge of attracting and holding the attention of trade show visitors, Gene developed a unique approach to helping develop warm leads for his clients. Instead of doing one or two long shows every hour, Gene gathers a group of prospects, presents the message in his entertaining way, asks qualifying questions and turns the qualified leads over to your representatives. By doing shorter more frequent presentations, Gene is able to engage more prospective buyers. For information check out the trade show flyers below. Prior to the show, Gene works with your sales and marketing teams — customizing his presentations to your needs. Gene studies the information on your company’s products and/or services along with their features and benefits. He then weaves your company’s message throughout his act to build awareness of your products and promotions. By attracting visitors with sleight-of-hand skills, Gene’s showmanship will help turn your booth into a memorable attraction which aids in marketing your business. Attract more people to the booth in a fun, professional way. Gain their attention and get them to listen to your message. Qualify the people who stop at the booth. Hand out any promotional materials or advertising premiums in a unique way. Keep your salespeople motivated, excited and refreshed during the trade show. Help your company gain name recognition and product identification with prospects. 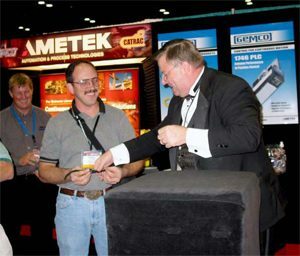 Gene’s performances help turn your tradeshow exhibit into a compelling experience that will help attendees remember your company and message long after the trade show ends. 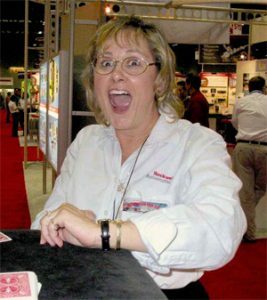 Gene can give you an edge and help you protect your investment in the cost of exhibiting at the trade show. And isn’t that the kind of effective exhibit your company wants? Many of Gene’s other trade show clients are also repeat customers including Agrevo (8 times), Warzyn (5 yrs), Reich’s Food Show (5 yrs), MASSCO, Inc. (5 yrs) and Superior Concrete (4 yrs). Hospitality Suite – Gene’s trade show package can also include performing in your Hospitality Suite. In the relaxed atmosphere of the hospitality suite, Gene can entertain your guests by performing impressive sleight-of-hand tricks. The company’s message can be interwoven into his presentation. The comedy and fun will keep your guests laughing. Special Client Events – Whether you are hosting a large event or having a small private gathering, Gene can entertain and make the event memorable. Gene can offer an up-close and personal performance or entertain the entire audience with his stand-up performance. 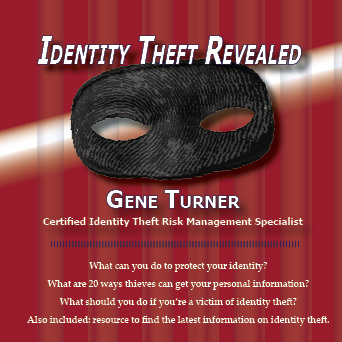 Gene Turner can be a valuable asset if you are seeking name recognition, new clients, and increased sales. His trade show expertise can help you and your company attain your goals.